Hello and happy Halloween fellow Exploitee.rs. Today we’re excited to be bringing you something we’ve been working on for the last few months. Today, we’re introducing you to FireFU. 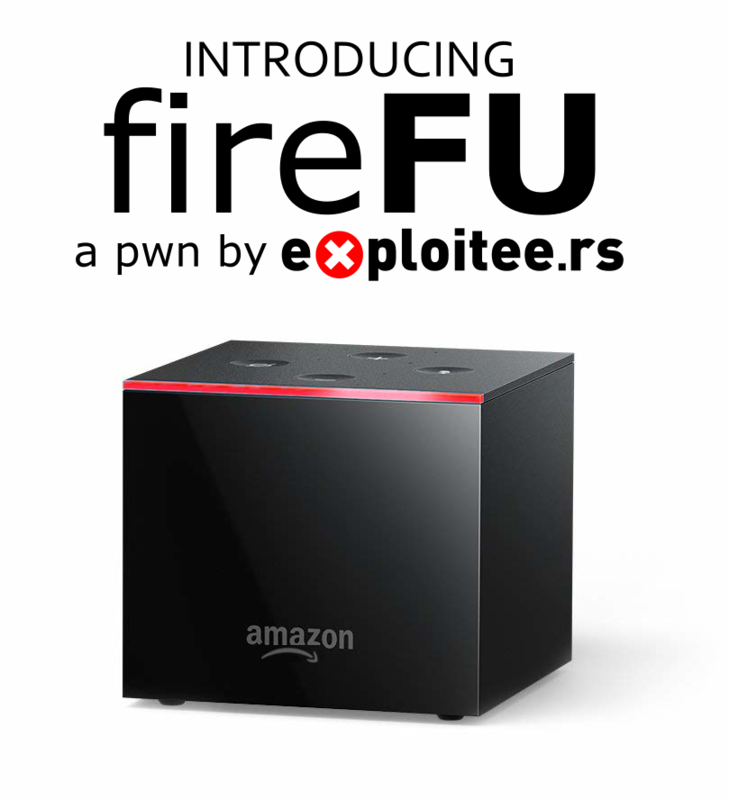 FireFU is an exploit chain we’ve created to allow users to unlock (and root) their FireTV Cube and FireTV Pendant. Exploitee.rs would like to remind users that any flashing of unofficial firmware or usage of provided tools is done at your own risk and will likely void your device’s warranty. This exploit chain relies on two primitives, the first being a read/write primitive leveraged from the DFU mode accessible from the Amlogic S905Z SoC. DFU mode can be accessed on these devices by utilizing HDMI’s I2C bus and sending a specific string (“[email protected]”) to the device during boot. 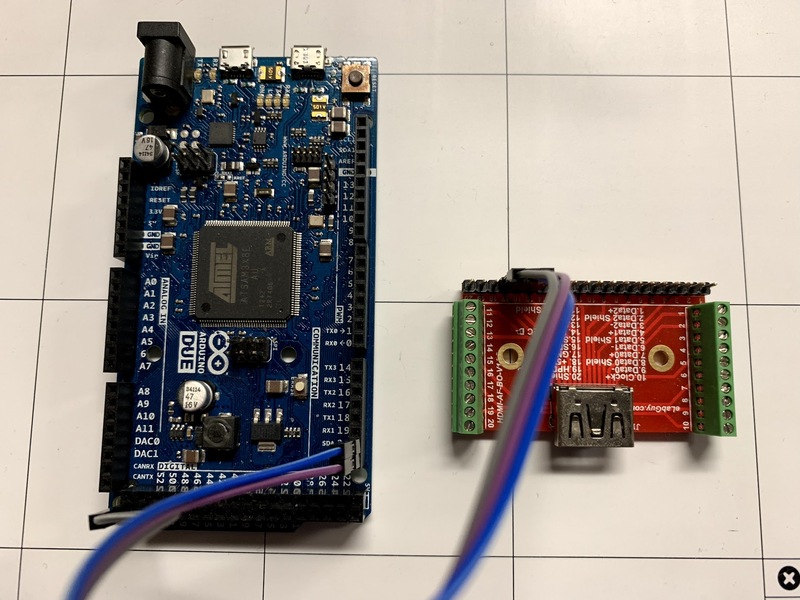 An adapter can be made which enters DFU by cutting open a HDMI cable or simply purchasing an HDMI header, then connecting to the appropriate I2C pins from the HDMI to the I2C pins on an Arduino or compatible board. We have provided an arduino “sketch” that can be compiled and loaded onto an arduino then used to perform the software side of entering DFU. Upon accessing DFU mode, we are given access to read and write portions of the FireTV’s memory. Through this we target the hardware registers for the eMMC controller giving us the new primitive of being able to read and write to the device’s eMMC flash. However, due to both devices having secure boot enabled, we are unable to directly leverage the primitives we currently have to run unsigned code. We however did discover another vulnerability that we can use. In a secure boot environment, each portion of the boot process checks and sets up the following. From the SoC ROM all the way to the kernel and some cases even the kernel modules. In order to run unsigned code, a weakness needs to be found in some portion of the secure boots “chain of trust”. After a bit of research, we stumbled onto the perfect vulnerability we could leverage to break the chain. This vulnerability consisted of a heap overflow within U-Boot triggered when reading the RSV info within the devices partition table. This overflow can be seen in the code below. Specifically, by providing a high enough value to the number of entries in the RSV table (rsv->count on line 490), we are able to overflow the heap allocation and obtain a new write primitive. Through this primitive (and all within the exploit’s payload) we modify values in memory for U-Boot tricking the device into believing it is unlocked and disabling all signature verification. Due to the exploit being ran during each boot, the U-Boot code needs to only be patched in memory. However, because the exploit is now being stored in the original RSV location in flash, we must move the old RSV values to a new area and fixup any addresses pointing to the previous location. After a reboot and successful exploitation, the Fire TV device will be able to run unsigned code. To simplify flashing of new images, we’ve chosen to use flashboot to flash a new recovery and boot.img to the device, this new recovery only provides the fixups needed to point to the new RSV location. The boot.img however includes “magisk”, a popular android root application, to facilitate providing the user root access to the device. 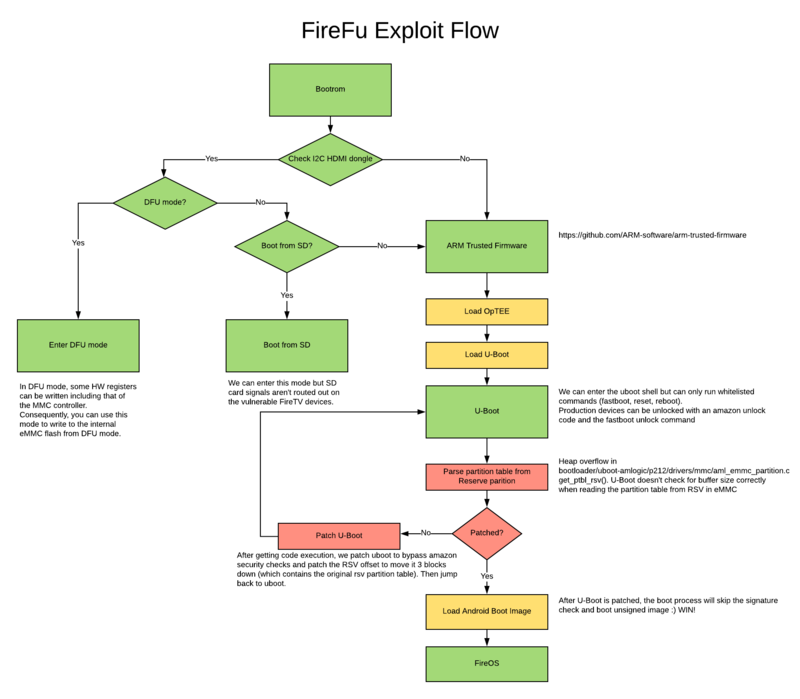 Technical details for the exploit chain is available on our wiki as well as usage instructions, source code, and information on needed hardware/tools. We’re back from Vegas and it’s time to reflect. This year in Las Vegas, we were given the opportunity to present our research at both BlackHat USA 2017 and DEFCON 25. At BlackHat, we presented on reverse engineering embedded devices with eMMC flash in our talk, “Hacking Hardware With A $10 SDCard Reader.” At DEFCON, we came back and did a remake of one of our most popular presentations (“Hack All The Things“) with, “All Your Things Are Belong To Us.” The experience was amazing and we’re grateful to both conferences for letting us come out and present to you all. This blog post will be a summary of everything we revealed from both conferences and will hopefully guide visitors around all of the new stuff we’ve posted. At BlackHat, our presentation was geared toward giving attendees a strategy for attacking devices with eMMC flash storage. 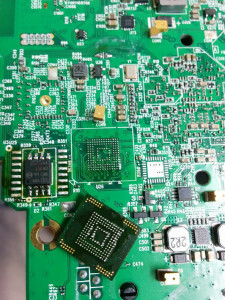 In this presentation we showed attendees how to identify eMMC pinouts as well as tips on how to connect to an eMMC flash with a standard SD card reader and as few as 4 wires. If you’re interested in checking out the research, you can find the slides on our wiki along with our white-paper on the subject. 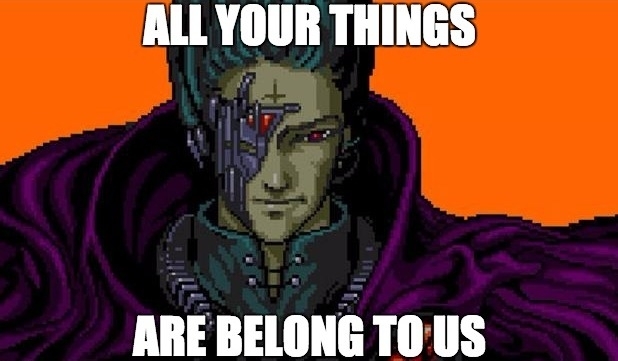 At DEFCON, our “All Your Things Are Belong To Us” presentation showcased exploits for a variety of new embedded devices. Below is a list with the corresponding new wiki pages for the new material we’ve added. We dropped a lot of vulnerabilities on the audience at DEFCON, but a few of the highlights include bugs such as the remote root vulnerability we found within the QNAP NAS devices. This vulnerability affects a network transcoding service and allows for command injection as the root user. Then, there are the two vulnerabilities we found within the Western Digital MyCloud series of devices, a series of devices we’ve released multiple bugs for in the past; these pre-auth bugs both allow for remote code execution. The first one has the primitive of being able to write a file anywhere on disk, allowing us to write a PHP shell to the device for remote code execution as root. The other vulnerability is an authentication bypass which can be paired with any of our previously released (and unfixed) post authentication bugs for remote code execution as root. 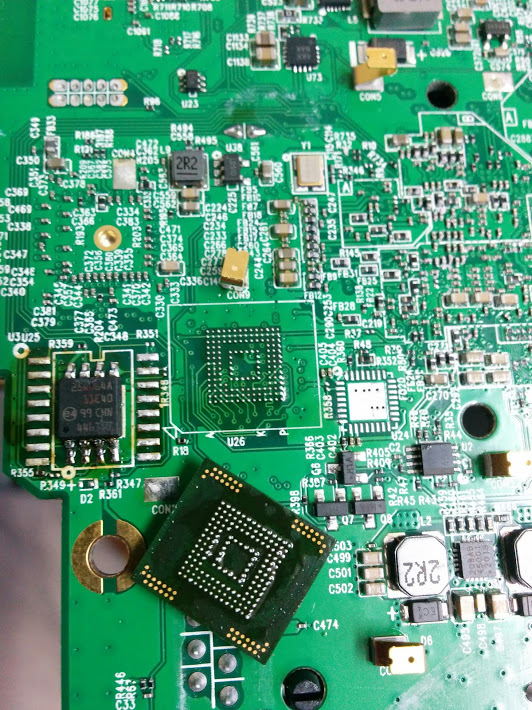 Beyond just the 3 NAS bugs, we’ve documented multiple hardware (UART/eMMC) roots, USB roots, and even a pre-auth root vulnerability affecting an SDK used in dozens of products. Finally, at DEFCON and BlackHat, attendees of our presentations received some new hardware we recently created. Particularly, they received our new SD & Micro SD Breakout boards which can be used with SD card readers to read 3.3v logic eMMC flash storage devices. These new boards will be available for sale in our online store soon and will be given away with orders from our online store (1 with every order). S ometimes at Exploitee.rs, we look for fun devices to hack and sometimes the devices find us. Today we’re going to talk about a recent time where we found ourselves in the latter situation and our experience with the Western Digital series of Networked Attached Storage devices. In the middle of last year I (Zenofex) began looking for a NAS that provided hardware decoding through my currently prefered media player, Plex. After a bit of research I ordered a Western Digital “MyCloud” PR4100. This device met all the requirements of what I was looking for and came highly recommended by a friend. After adding the NAS to my network and visiting the device’s admin page for the first time, I grew weary of adding a new device to my network without giving it a proper audit. So, I logged in, enabled SSH access, and looked at how the web server functionality of the device worked. I quickly found the first bug that shocked me, this bug was based on code that performed a user login check but did so using cookies or PHP session variables. Using cookies for authentication isn’t necessarily a bad thing, but the way that the Western Digital MyCloud interface uses them is the problem. Examine the code below. “username” variable is set and is not empty – User is logged in as a normal privileged user. “isAdmin” variable is set to 1 – User is logged in as an administrator. This means that any time there is a login check within the PHP scripts, an attacker is able to bypass the check by supplying 2 specially crafted cookie values. During the process of writing up my findings a new firmware was rolled out patching the above bug. However, this patch introduced a new vulnerability which had the same consequences as the original (prior to the update). Below is the current version including the fixed code. In the updated version of the code, a call to the new method “wto_check()” is made (line 40). This function runs a binary on the device with the client supplied username as an argument along with the user’s IP address. If the user is currently logged in and hasn’t timed out the value 1 is returned, otherwise 0 is returned (indicating the user isn’t logged in). The code for the “wto_check()” method can be found below. In the above you can see that on line 11 the command is formatted to include the username and IP address as arguments to the “wto” binary. The problem with the above is the incorrect use of the PHP method “escapeshellcmd()” which, in its intended usage, handles an entire command string, and not just an argument. This is because the “escapeshellcmd()” function does not escape quotes and therefore allows an attacker the ability to break out of the encapsulating quotes (in our case for the “-n” argument), allowing for new arguments to be supplied to the binary. Because of this, instead of actually checking if the user is logged in, we can add new arguments and log the user in ourselves. Although we do not believe simply verifying that the user is already logged in by checking an IP address and login timeout is sufficient. The programmer who wrote this code should have used “escapeshellarg()”, which is intended to filter independent binary arguments and which does filter out quotes. Using “escapeshellarg()” as opposed to the currently used “escapeshellcmd()” would have at least prevented this attack from working. A majority of the functionality of the WDCloud web interface is actually handled by CGI scripts on the device. Most of the binaries use the same pattern, they obtain post/get/cookie values from the request, and then use the values within PHP calls to execute shell commands. In most cases, these commands will use the user supplied data with little or no sanitization. For example, consider the following code from the device. and executes the user supplied command within. Because the argument is encapsulated with double quotes and we use the “$(COMMANDHERE)” syntax, the command “touch /tmp/1” is executed prior to the execution of the “wto” binary and the return value of which is used as its “-n” argument. This basic pattern resulting in a command injection vulnerability is used multiple times within the many scripts used by the web interface. While some may have normally been prevented by authentication being required, that restriction is overcome by the authentication bypass mentioned above. Also, it is important to note that all commands executed through the web interface are done so as the user the web-server is running as, which, in this case is root. And others being more functionality specific, like the following example of a bug allowing a non-authenticated user the ability to upload files onto the myCloud device. 26 // Might execute too quickly. The above code consists of no checks for authentication and, when called will simply retrieve the uploaded file contents and use the user supplied path to determine where to place the new file. Beyond the bugs listed in this blog post, our wiki is full of bugs we’ve found within the MyCloud web interface. Our general goal at Exploitee.rs is to get bugs fixed as quickly as possible. However, the large number of severe findings means that we may need to re-evaluate the product after the vendor has properly fixed the released vulnerabilities. At Exploitee.rs, we normally attempt to work with vendors to ensure that vulnerabilities are properly released. 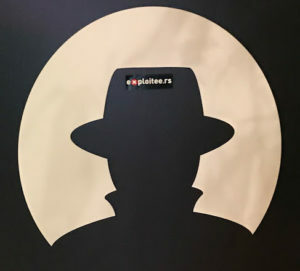 However, after visiting the Pwnie Awards at the last BlackHat Vegas, we learned of the vendor’s reputation within the community. In particular, this vendor won a “Pwnie for Lamest Vendor Response” in a situation where the vendor ignored the severity of a set of bugs reported to them. Ignoring these bugs would leave the vulnerable devices online for longer periods while responsible disclosure is worked out. Instead we’re attempting to alert the community of the flaws and hoping that users remove their devices from any public facing portions of their networks, limiting access wherever possible. Through this process, we’re fully disclosing all of our research and hoping that this expedites the patches to users’ devices. *”Authentication Required” bugs can be reached with the login bypass bug. 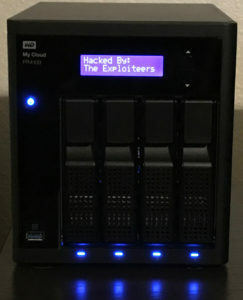 For the complete listing and a small write-up on each of the bugs found during our Western Digital MyCloud research, visit the Exploitee.rs Wiki. Today we’re releasing the method that we’ve reversed engineered on how to get root and modify the firmware on a Google OnHub. This process involves booting of the OnHub into the “Developer Mode”, loading of an image from a USB disk, and also provides the ability to modify and resign a modified image with development keys. This method was reverse engineered based on an in depth look and dump of the hardware along with a disassembly of the Android app and Google OnHub USB Recovery Chrome extension. Below we’ll talk about the process and our findings in depth. 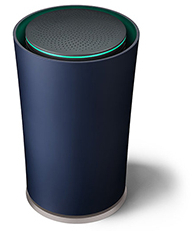 Our initial look at the Google OnHub was the iFixIt teardown, the device contains multiple radios (including the currently unused Zigbee radio) as well as a speaker and a plethora of antennas. The pieces that caught our eye however, were the eMMC and SPI flash ICs on the board. Based on our previous experience looking at devices, we knew that with our low voltage eMMC adapters as well as a Raspberry Pi (or Bus Pirate), we had an easy and quick way to dump both flash devices. Unfortunately, at that time we did not have access to a Google OnHub, so we were stuck having to work with what we had available. At this point our sights were aimed at the Google OnHub Android App and Recovery USB Chrome extension with the main intention being to find the firmware update URL. After a short search we found this url which contained a URL to a recovery image of the eMMC flash. This was our first real look into the firmware running on the device. We finally acquired a Google OnHub and went right into tearing it apart. We took the device apart and then proceeded to remove and dump the SPI flash first. For this we used a Raspberry Pi along with flashrom. After dumping and a quick look, we found that the SPI flash stored the BIOS data. We proceeded to dump the eMMC, and compare to what we found within the recovery image. We determined that the images highly resembled that of the Google Chromebook, and that the OnHub was a very close match in architecture. We spent the next day going over the dumps in depth and determining our attack plan. Our initial attack plan involved a page we found on the feasibility of hacking the Google Chromebook. This page stated that the attacks that could not be protected by the secure boot setup used by ChromeOS were those that involved physical access and re-flashing of the BIOS. So, our initial attempts were of just that, we attempted to re-flash the SPI flash but were crippled by not having a valid method of receiving debug output while booting modified images. After subsequent attempts we re-thought our game plan and looked deeper at the hardware that was packaged within the OnHub in comparison to the Google Chromebook. 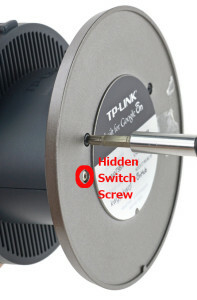 This is where we found the usage of a “hidden” switch that is contained on the bottom plate of the Google OnHub but is hidden by a screw. We would soon determine that this switch enables the ability of booting into the device’s Developer Mode but requires a special key sequence first. We began to comb through more ChromiumOS docs until we found “CTRL+D”. Hitting Ctrl+D prior to pressing the Developer Mode switch, switches the device into Developer Mode. After further research into the Chromebook and examining the USB image created by the OnHub Recovery USB Image Creator Chrome Extension we crafted a USB and attempted to boot the USB device. At this point we had our first major breakthrough and had the device booting a USB image. The rest was easy and entailed exploring the device teamed with reading more ChromiumOS docs, this helped form the rest of the root process which can be found on our wiki. TLDR, The Google OnHub is at heart a Chromebook without a screen modified as a router, and our root method is just a modified version of booting Developer Mode. As the Exploiteers, we believe in both open software and open hardware. We’ve worked tirelessly to come up with roots for all sorts of devices, and software modifications to make these rooted devices more awesome. We are convinced that this is a good thing, and to ensure that we (and others) can continue to do awesome hacks, we are participating in the political process to ensure full control of your devices is legal in the United States. One of the more pesky laws governing digital devices and their security is the Digital Millenium Copyright Act. It criminalizes breaking electronic locks for copyrighted works – which might include things such as the firmware update mechanism for your smart TV. The authors of the law recognized that there are reasons to circumvent digital locks that aren’t copyright infringement, and made an exemption process to formally recognize valid reasons to circumvent these locks. The exemption process happens every three years, with the US Copyright Office evaluating proposed exemptions. One of the newly proposed exemptions (by the Software Freedom Conservancy) this year is “Jailbreaking—Smart TVs”, which is a category we have a lot of experience with. As a group of people who encounter these kind of locks every day, we submitted a comment through the comment process to advocate for formally stating that jailbreaking / rooting of smart TVs and streaming media players is legal in the US. We strongly support all of our users watching the content they want and running the apps they choose on whatever device they may own. View the comment we submitted below, or as a PDF! 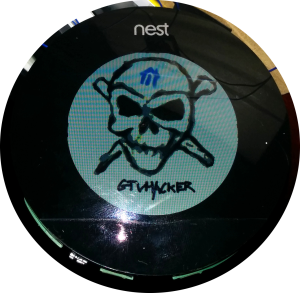 When GTVHacker started, we were a group of researchers who met on a popular Android developer forum and simply wanted more from our newly purchased and heavily fortified Logitech Revue Google TV devices. We would have never thought that our simple goal of utilizing our hardware would turn into GTVHacker. We moved to an IRC (Internet Relay Chat) channel and began researching how our devices worked and how we could make them better. This eventually turned into an obsession until we released our first root exploit for the Revue. Flash forward 4 years to today, and the irony of the situation is that we (as a group named “GTVHacker”) have released exploits for 40+ devices, and only 1/3 of them have been for the Google TV platform. Within the same time period Google itself has ditched the Google TV name in place for “Android TV” guaranteeing an experience more in line with that of its Android mobile devices. So we as a group have decided it’s finally time to retire the name “GTVHacker” and transition into our new form as (the) “Exploiteers”. Over the next few days we will be transitioning all of the rest of the content from the GTVHacker network on to Exploitee.rs. We will be changing site logos and themes but the archived content will stay the same. If you happen to notice something that’s not working right, feel free to contact us at [email protected] to let us know. A new storefront to sell our custom hardware (and other future items). 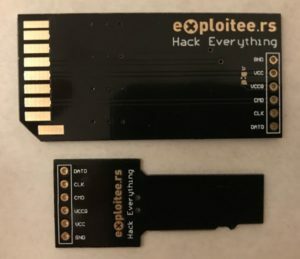 TLDR, We’re now the Exploitee.rs and we’re hacking more than ever before! Yesterday at the DEF CON 21 security conference we released our custom recovery package and 2 individual exploits for the Google TV platform. The 2 exploits leveraged together allow users to install the first custom recovery ever created on the Google TV. The first exploit is a vulnerability which affects certain Linux configurations, in particular those that mount NTFS drives without the nodev flag. This is very similar to a vulnerability we leveraged last year for unsigned kernels on the Gen 1 Sony Google TV where as both exploit poorly mounted flash drives. The difference in this being that the NTFS bug affects every device within the platform and allows users to rewrite previously non write-able (RO) mtdblock partitions. We use this exploit to drop a SU binary on the device within the /system partition which is not mounted nosuid. Of note, another valid method we could have used would have been to modify the build.prop file. 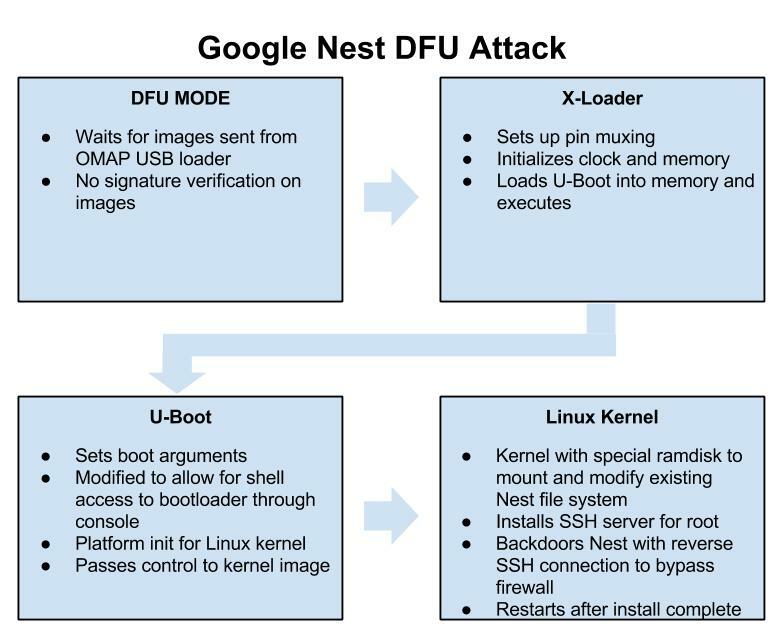 Unfortunately, even as the root user, security features within the kernel prevent this from being used to allow much for the Google TV community.We can however leverage this exploit to obtain a larger attack surface on the device. This leads us to our next bug which only affects the boot-loader on the second generation of Google TV devices. This bug is found within the initial loading of the Google TV kernel after the device performs its RSA verification. This can best be summed up by the picture below. 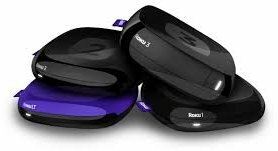 Boot process for second gen Google TV devices. 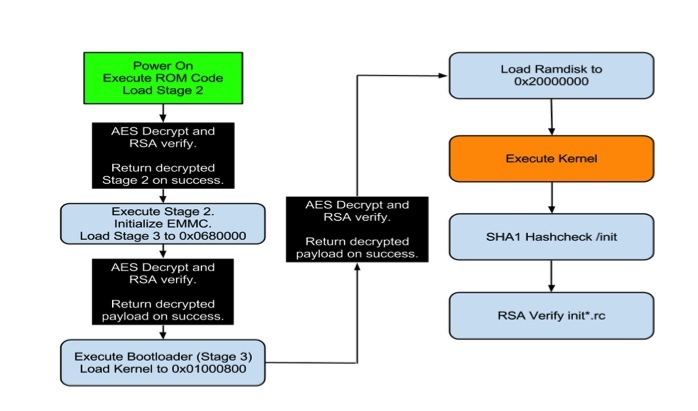 As you can see by the above picture, multiple levels of AES decryption and RSA verification are performed. In a secure boot environment this setup is called a “Chain of Trust” which, in more descriptive terms, means that each segment loaded during the device’s boot is signed and verified to establish that it is provided by the manufacturer and not a third party (like GTVHacker). Our attack is actually performed directly after the last AES decrypt and verification routine, which in particular verifies the authenticity of the kernel image being loaded. The bug lies in the fact that the majority of Gen 2 devices do not perform any verification on the loaded RAMdisk address which is stored in the kernel image header. By changing the RAMdisk load address in the image to actually point to the kernel load address and by attaching an unsigned kernel image to the RAMdisk. We are able to load an unsigned kernel directly on top of the actual signed kernel after all decryption and verification routines are performed. This method works on every device in the platform except the second gen devices by Sony. The Sony devices actually do check the RAMdisk that is supplied, but fail to do so correctly. By simply attaching another kernel and RAMdisk after the signed versions, and pointing the RAMdisk load address to this new kernel and RAMdisk we are able to bypass their signature checks. 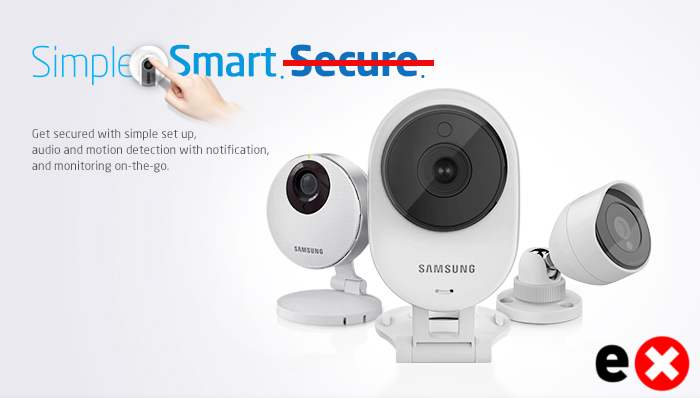 By using either of these techniques on the generation 2 devices we are able to completely destroy the chain of trust the device attempts to establish during boot and we are allowed to run any code needed, which in our case is a custom recovery image that does not perform any signature validation on update images. Today we are releasing instructions on performing both attacks as well as our slides and content for the presentation. Please note that this process does involve flashing portions of the device, and in doing so there is a risk of bricking your Google TV. We’ve attempted to make this process as fail-proof as possible in order to prevent bricked devices, however we can’t guarantee that your device won’t become a glorified paperweight. With that being said, proceed at your own caution. We will be open sourcing our code as well as compiling more custom recovery images for Google TV devices in the coming days. Keep checking our wiki, blog and Twitter for more info. In the mean time enjoy our DEF CON 21 content that we’ve spent a portion of our free time over the last year working on, and check out the video of the demo from our presentation below.